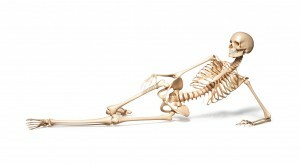 The Feldenkrais Method® has no set lesson plans. We don’t have a school board. There’s no one dictating to me what themes to choose when teaching. So, after six years of teaching, I follow my hunches when planning what to teach. I listen to my private clients, to students in my classes. I continue with my advanced study. Patterns emerge. Something comes into the foreground. Now it’s hip joints which keep presenting themselves to me. My ongoing interest remains uncovering innate strength. And clarifying use of our hip joints is key. 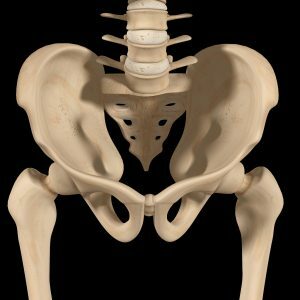 The pelvis is our power center. Those bones are the biggest we have. The lumber vertebrae are enormous, compared to our cervical vertebrae. The head of the femur is spherical, almost. It has the potential to rotate in almost any direction. Yet most of us use only a fraction of the potential. Watch a dancer or gymnast to see the hip joint exploited to its fullest. Most of us don’t have hypermobile joints like acrobats. Yet we can still find more range of motion than we’re currently taking advantage of. 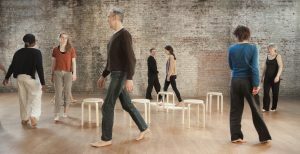 We can find, for example, the top of our hip joint, that place around which we can pivot freely and discover what Moshe Feldenkrais called good posture: the ability to move in any direction without preparation. I’ve been going back to the transcripts of the lessons Moshe Feldenkrais taught years ago in Jerusalem. We have roughly 600 of these lessons, from the time he spent teaching on Alexander Yanai Street. I’m finding gems in his comments to students. He says repeatedly that we don’t know where our hip joints are. We can’t accurately locate them on ourselves. We think our hip joints are located where our pants crease at the top of our legs. They aren’t. Because we move from a faulty understanding of our anatomy, we damage our hip joints and low back. Moshe said that 60 years ago, and it’s still true today. The heads of the femurs point towards your sacrum. Your hip joints are located where they can direct ground forces up and into your spine on either side to help you stand erect and move your spine freely. When you stand using your skeleton clearly, without unnecessary activity in your core, you’ll feel support flowing up from your heels to your hip joints, all the way to the crown of your head. It’s literally a heady feeling. So why do so many of us lack or forget that connection? Many reasons: injury, prolonged sitting, inactivity in general. I also think the English language doesn’t help. We have one word, “pelvis,” for what are actually three bones: the sacrum in the middle and an ilium/ischium on either side. To add to the confusion, we don’t have one word for the hip bones on either side of the sacrum. Each is composed of three elements, the ilium, ischium, and pubis. These are separated in newborns and become fused by adulthood. The three elements form a deep socket called the acetabulum where they meet. The acetabulum articulates with the head of the femur. In front, the pubic bone on either side is connected by cartilage. So each of these three parts of your pelvis has the potential to move independently. To see that potential exploited to its fullest, watch a skillful belly dancer. The point is, understanding and clarifying function of our hip joints is key to improving our movement and self-use. This spring, that will be the theme throughout my classes. I hope you’ll join me. If you’d like to study human anatomy on your own, there’s no better place to start than Anatomy of Movement by Blandine Calais-Germain. Her analysis focuses on function, not the study of anatomy for its own sake. She’s a dancer and physical therapist. The book is full of great illustrations. It’s organized so you can easily pick it up and simply read the section dealing with the pelvis. Or go cover to cover, if you like. This entry was posted in Awareness Through Movement, Fitness, Somatic education, Teaching and tagged acrobat, Alexander Yanai, anatomy, belly dance, Blandine Calais-Germain, Jerusalem, pelvis, skeleton on March 22, 2017 by DallasFeldenkrais. Love your clear explanation of the pelvis anatomy, and the visuals. I wonder if for a lay person it would be interesting to see where the elements of the fused structures are. I so agree with your statement that many people don’t know where their hip joints are. Somehow we’ve come to think of them on the sides, left and right, further out than they are too. Maybe it has something to do with the expression ‘put your hands on your hips’. To find out lots more about the pelvis, including how it’s ossified over time, visit Wikipedia.